2. Seminar on ‘Innovation Management’ by Dr. Joy Mukhopadhyay, Academic Supervisor, University of Warwick, UK on 31/01/2018. 3. Seminar on ‘Operations Management’ by Dr. Ranjan Ghosh, Mentor, IIM Kashipur on 06/02/2018. a) Mr. Amiya Kumar Kalidaha, Senior Scientific Officer, Department of Higher Education, Science and Technology and Bio Technology. 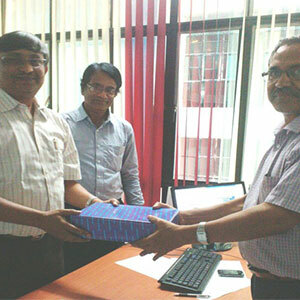 c) Mr. Syama Prasad Datta, Chairman (RDF), Institution of Engineers (India). 3. Entrepreneurship Awareness Camp, in collaboration with DST, Government of WB, February 22-24th, 2017. 5. Smt. 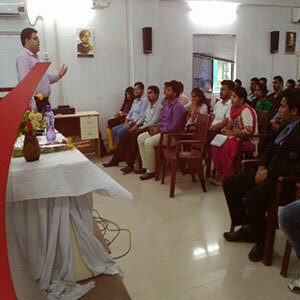 Paramita Saha, Scientist B, Patent Information Centre, WBSCST and Patent Attorney. 6. Smt. Sangita Sengupta, Project Scientist I, Patent Information Centre, WBSCST and Patent Attorney. 1. 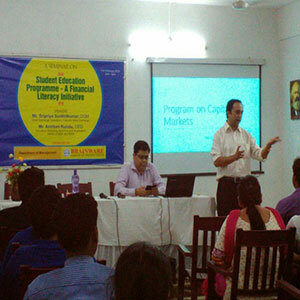 Lectures on “Capital Market” on 10.02.2016. 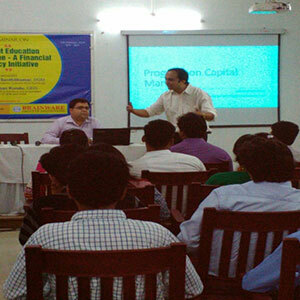 Guest Speaker: Mr. Sripriya Senthil Kumar, DGM, Calcutta Stock Exchange & Mr. Anirban Kundu, CSE, Calcutta Stock Exchange. 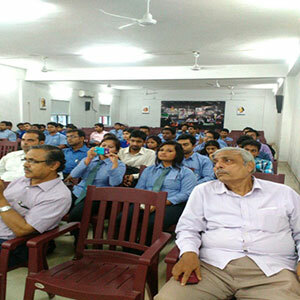 Mr. Kumar and Mr. Kundu organized Business Quiz Program for the students. 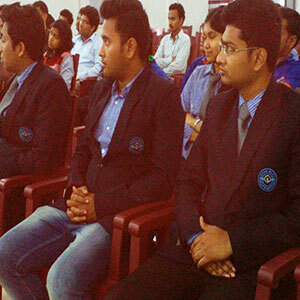 Three teams had been selected for participation in the final round as arranged by the Calcutta Stock Exchange. Certificates had been provided to the students. 1. 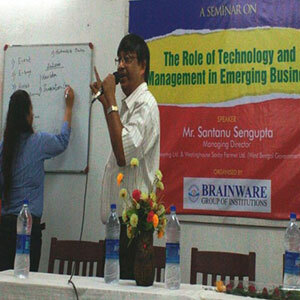 Lecture on “The role of Technology and Management in Emerging Business” on 10.10.2015. 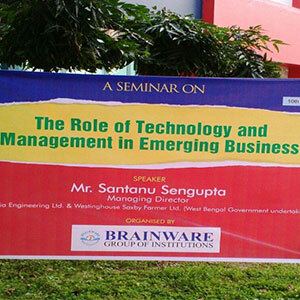 Guest Speaker: Mr. Santanu Sengupta, MD of Britannia Engineering Ltd. & Wastinghouse Saxby Farmer Ltd. and alumna of IIT Kharagpur and IIM Calcutta.